Home > Stealth > On Hitman Episode 1: Paris; the killing begins! On Hitman Episode 1: Paris; the killing begins! Agent 47 is back. The bald man branded with a barcode who is also a master of disguise returns in a new episodic format, an increasingly popular way to release big titles nowadays. Games like Life is Strange and the King's Quest reboot have implemented episodes to strengthen the focus on storytelling. Each mission takes place in a self-contained open world. The base game currently features three locations: a luxury yacht, an air-base and, featuring the best fashion show I have ever seen in a video game, Paris. As this is the first instalment of what is planned monthly content, the first half of the review will look at the gameplay itself, with the second half, coming later, to look at the Paris content. At its very core, Hitman is a simulation. Every human character within the game is unique. They think, act and speak independently, though like anyone, are influenced by what they believe to hear and who they believe they see. 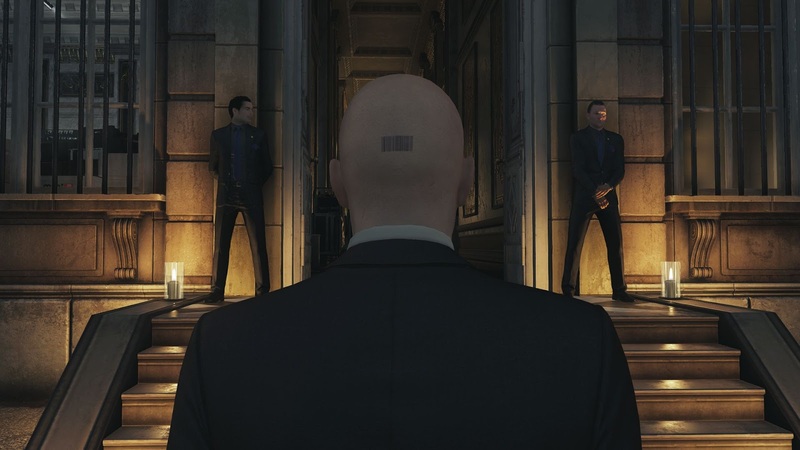 Agent 47’s biggest arsenal is his ability to quick change at the drop of a hat. Utilising this technique, he can infiltrate even the highest secured zones, but it’s not as easy as walking into a closet and picking out a costume. In order to disguise yourself, you need to find the person that you wish to become. This is where it becomes a game of cat and mouse. Step 1: Find your target. Sometimes, your victim walks right in front of you, isolated, easily subdued and well away from people who might raise an alarm. Normally however this isn’t the case, and Agent 47 needs to create distractions, draw people away, and then trick his target into the trap you have set up. Once you have donned the outfit of the man you have taken out (or killed, though the game does encourage keeping civilians alive at all costs, death should only be for those that deserve it), it’s generally a good idea to hide the body. If a patrol comes across an unconscious body, he or she will wake them up and then they'll bring hell down upon you. Step 2: Become your target. Once you have taken on the persona of the waiter, or the engineer, or the security guard, Hitman evolves. You’re now playing the waiter/engineer/security simulator. 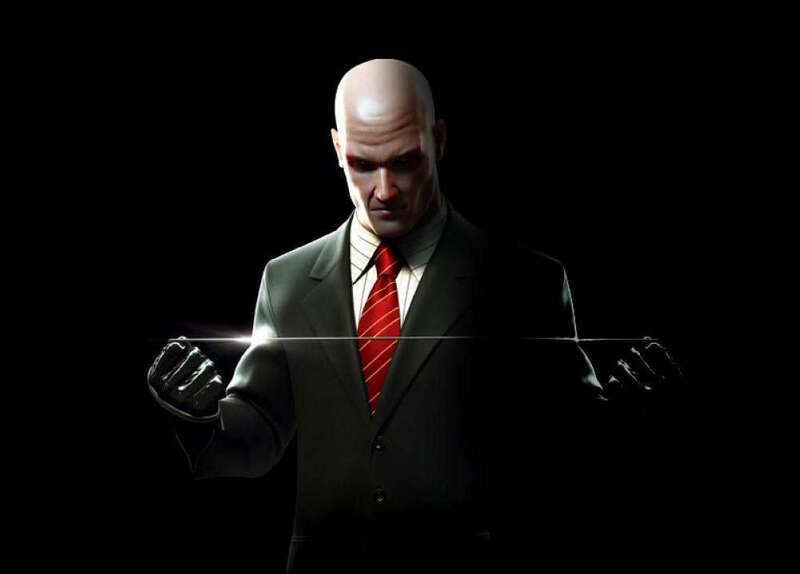 Agent 47 has to act like his job is to provide services to others. The game does offer leniency in this regard, as there is no requirement to chop food or fix mechanical engines. 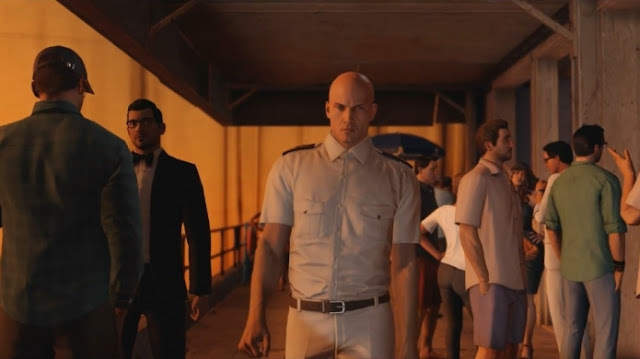 There will be times where it is needed to blend in, yet this, like every other moment in the game, is an opportunity for Agent 47. As a waiter, it is not suspicious for you to poison a plate of food and deliver it to the target. You are in this magnificent, deadly playground, there is every opportunity to attack, hide and ultimately, kill. Normally in each scenario, there is almost a food chain that you have to work your way up from. The unimportant crew guy becomes your ticket backstage, where you can then follow a staff member into a private room. There is a lot of observation involved in getting through this game; for example the Paris mission took me about two and a half hours to complete, and that was after trying many different paths. Once you have worked your way up to the targets inner circle, it is time to assassinate. Step 3: Find the client. Kill the client. Shot in the head with a silenced pistol. Stabbed in the neck with a pocket knife. Slashed across the face with a samurai sword. Given food poisoning and then drowned in the toilet. Exploded. Crushed by a chandelier. These are just some of the ways you can kill a target. The opportunities are as endless as your imagination, and if you think you can do it, with the right means and disguise you most likely can. If you’re calm and collected, there’s no reason to alert the AI on what you are doing at all. In fact, planning your next move is something the game heavily encourages. Working on the run is intense and hard to do successfully. Once your target has been neutralised, it’s time to make your escape. All of my escapes have been successful ones, though I can imagine it is due to my mentality following the kill. Once they’re dead, I make my leave, assuming nobody saw the deed. There’s no gloating over a dead corpse, or waiting to see the panic in the security guard as they frantically search for the murderer only to not realise it was a man in disguise. And by the time they’ve realised what’s happen, I’ve made my escape and the job is done. It’s really interesting to play Hitman in episodes rather than a full game. I always felt that in previous instalments, there was more emphasis on the story and getting through each mission over the stealth aspects of it. The more intense focus that you have in each chapter under this system encourages you to more fully immerse yourself in these sandboxes on offer. I spent roughly three hours in the mission simply walking around, mapping out the space and learning about who occupies it. Once the mission is complete, you’re able to go back and add challenges, which can make the objective much harder to complete. These are often limitations on who you have to disguise yourself as or what weapons you can use. There’s also the ability to self-impose challenges on yourself, like going through a level undetected by anyone, something easier said than done. The only main issue with the base game is its online-only requirements. While the game is playable offline, only the mission can be played. Challenges are online only, and if for any reason connection to the server is lost, so is your save file. That to me is a huge loss as saving is the biggest lifeline in the game. Hitman saves at every, single opportunity, and if there is any point where Agent 47 steps one toe out of line, it’s a reload and you're back in the action and fix your mistakes quite easily. There is a lot more to Hitman that I haven’t addressed yet. 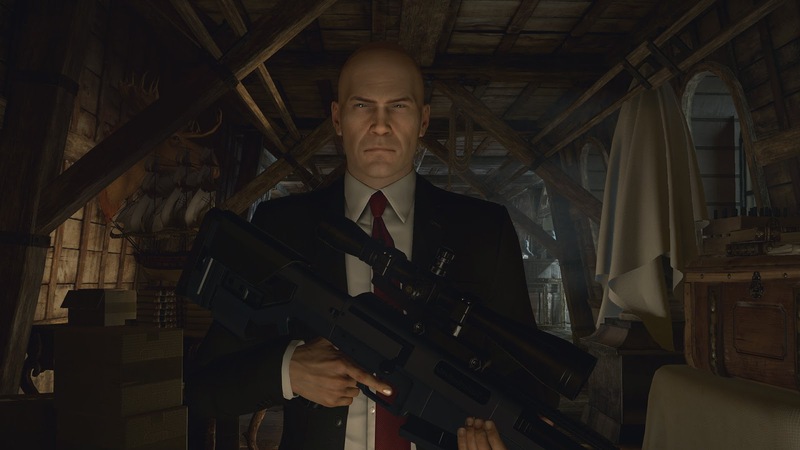 You could spend hours analysing the morals and ethics of what Agent 47 does and why he does it. I'm hoping that theme will be built on in future episodes. For now, though what I’ve taken away from it is that it is a strong example of a good sandbox. Every little action causes a slightly bigger reaction, and it escalates and escalates until there’s a satisfying climax. While some might have issues with monthly instalments for a game that previously has been been intended to be delivered together, it is encouraging to see that Square Enix is giving the players the freedom to explore every nook and cranny of the seven worlds the development team has created. Which in my eyes speaks to the very core of what Agent 47 is all about.